I went and checked the top bar supers that I built. 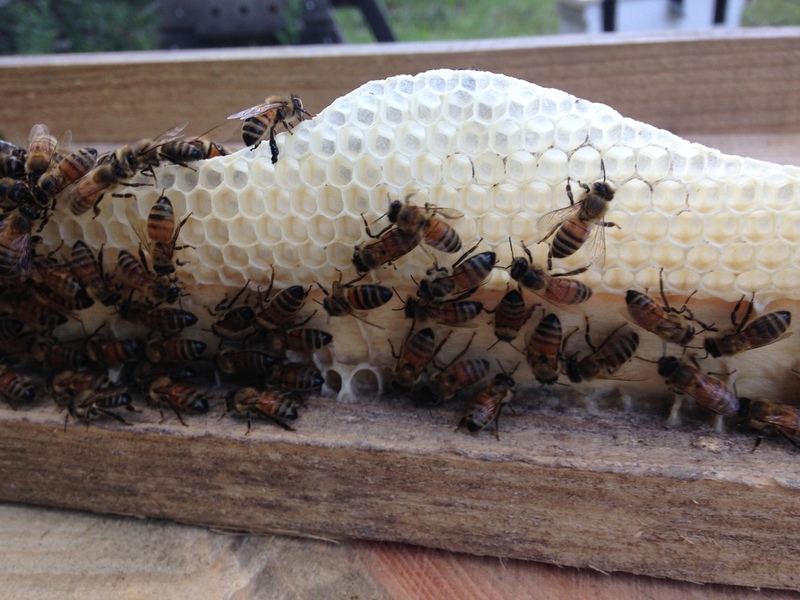 They are all showing growth of comb, although a bit slower than I expected. I think that is because of all the rain we have been receiving. 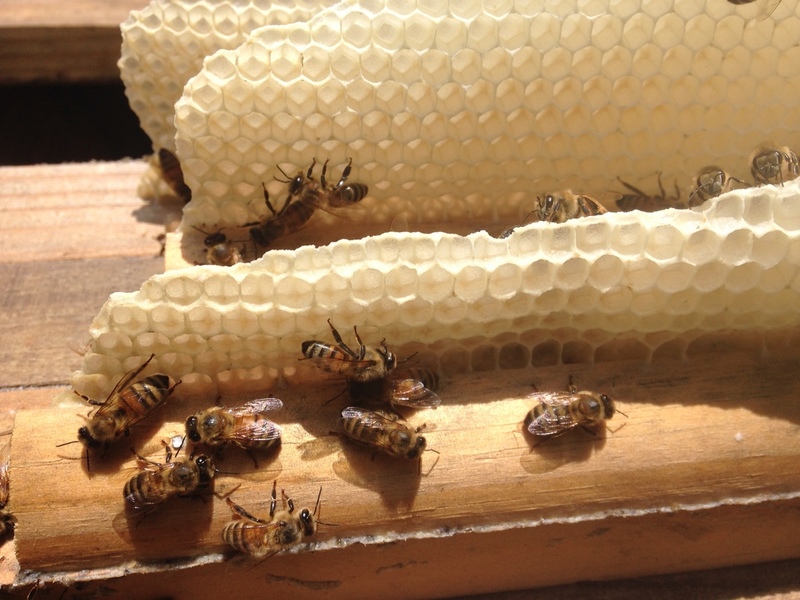 It hasn't allowed the bees to actually store excess honey because just about the time they collect a bunch of nectar it rains for several days in a row and they eat it all. 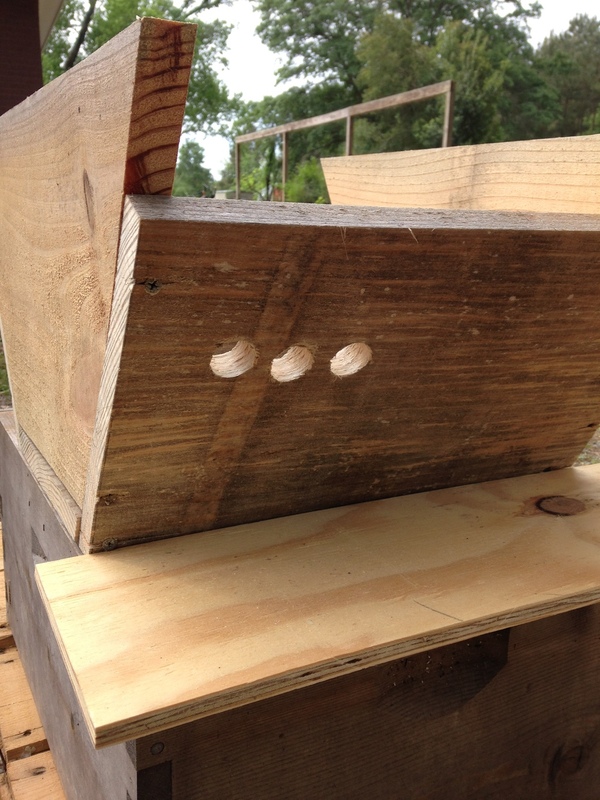 I attached foundation to the guides and have noticed that the bees chew away the foundation from the guid and have started the combs on the part of the foundation that extended down past the cleat/guide. I will include some pictures that help show everyone what I'm talking about. 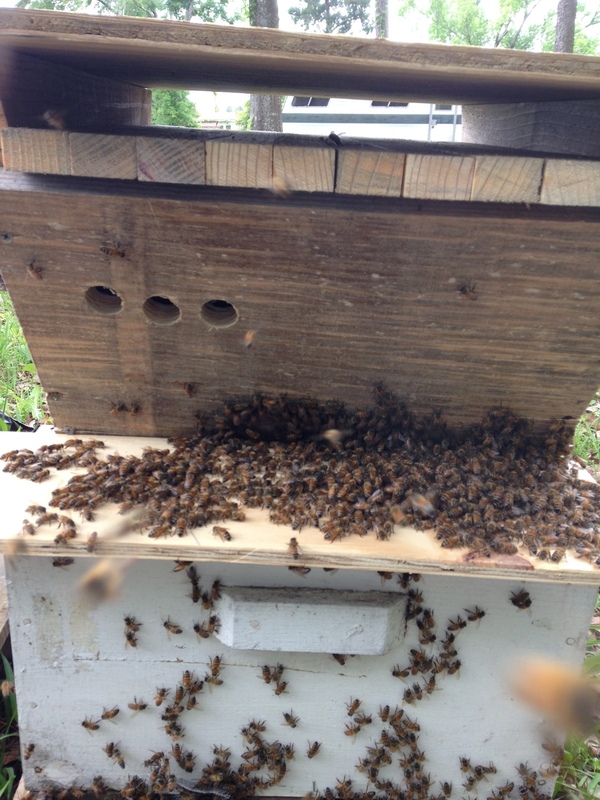 I am starting to shake swarms in from my hives into top bar boxes now as well. I am closing them up for a day with a feeder and using vinyl screen mesh. I am taking some of the combs that have been started in my top bar supers and placing them inside the new artificial swarms to give them something to cluster around and make it a little more homey. I intend to feed them fairly heavily to get them to build combs up and start to prep for winter. 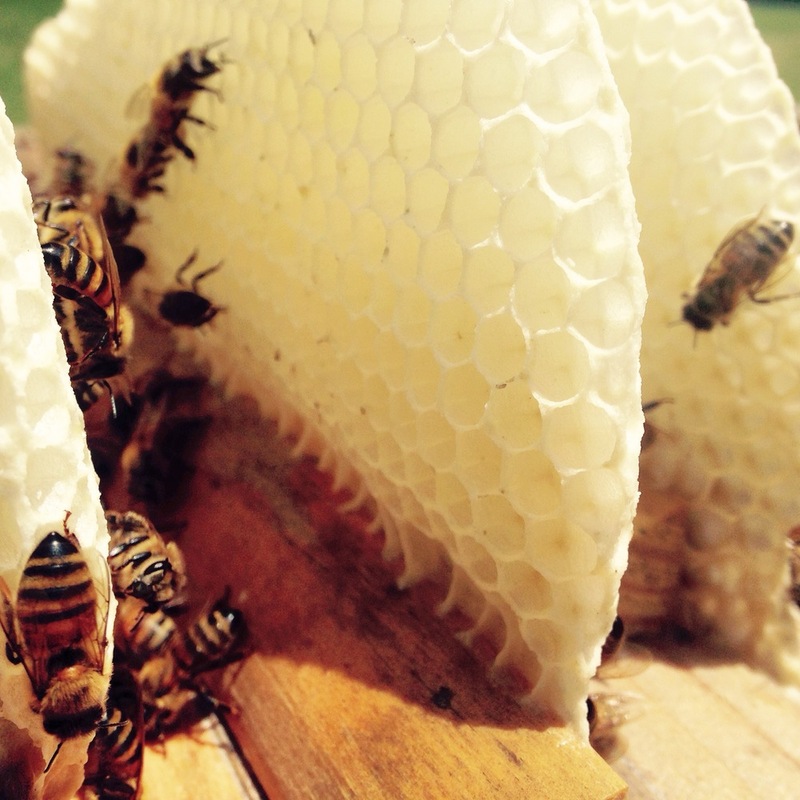 I enjoy beekeeping because I am always having to think months ahead and how the things I do today will affect the future. We are always learning something new! There will continue to be updates as the summer progresses! 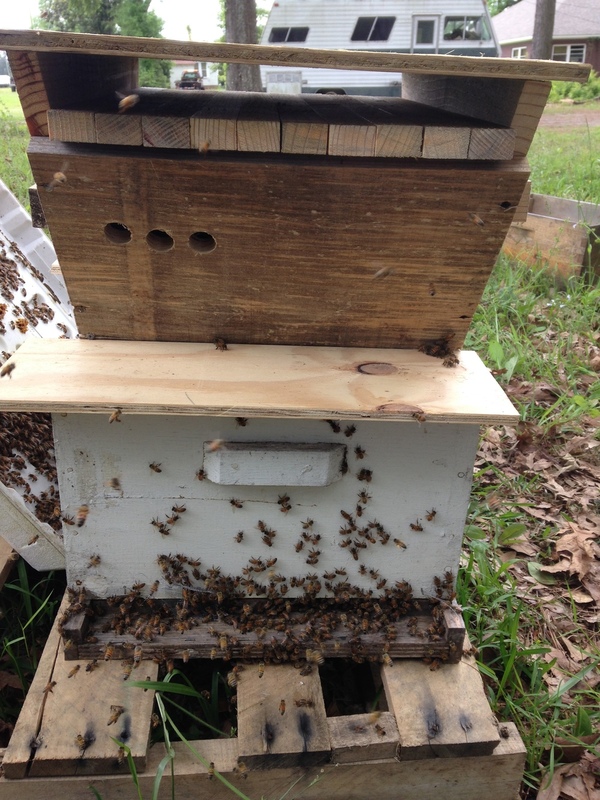 So after speaking with Les Crowder, I started thinking about his top bar super idea for transferring bees from a langstroth box to a top bar hive. I finally built a prototype to try it out! 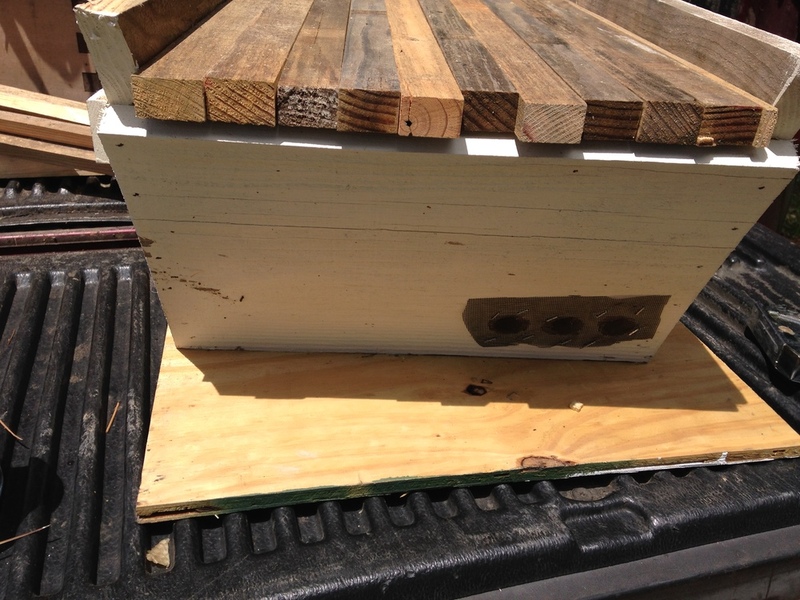 So I made the super the same width as a langstroth and it holds 10 top bars, each 1 3/8". 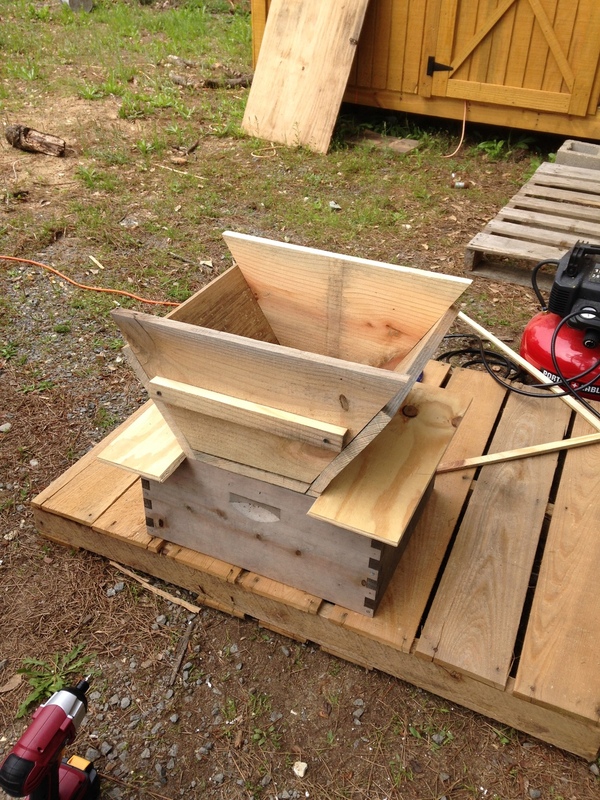 I then used some scrap plywood from building D Coates' nucs to cove up the rest of the top of the langstroth box. 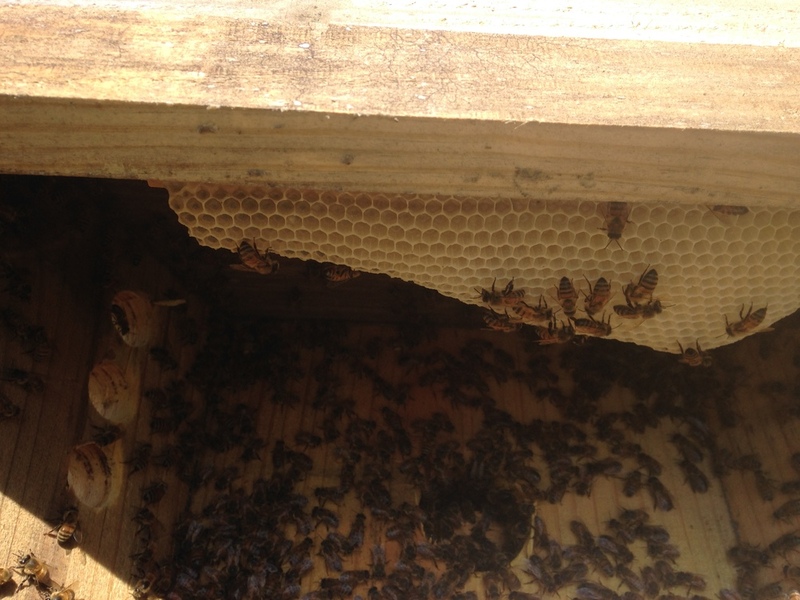 There is a 2" hole in the bottom of the top bar super to allow the bees in. Then, I closed the bottom entrance and left the top bar entrance open. 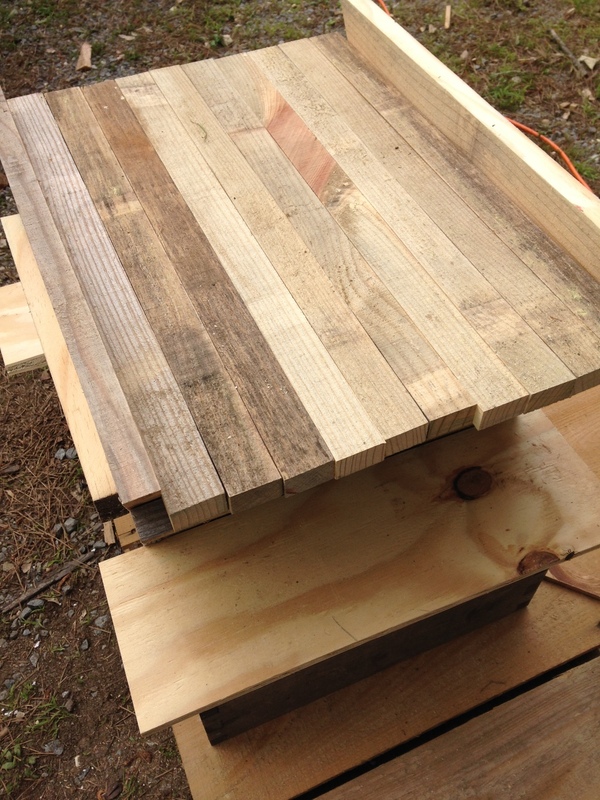 On the inside I put a cleat on each top bar, from cutting angles on the bottom board and walls, as a comb guide. Since I had some extra wax foundation I went on and added that as well to help get them started. I had bought a case of creamed honey to use as starters for our own creamed honey, but the creamed honey I bought had a horrible texture. Since I couldn't use it as a starter I decided to use them as feed. Normally, I wouldn't use bought honey to feed the bees but creamed honey has been pasteurized and since I'm not going to eat it they might as well. I placed a jar of creamed honey opened and on its side inside the top next to one of the walls. 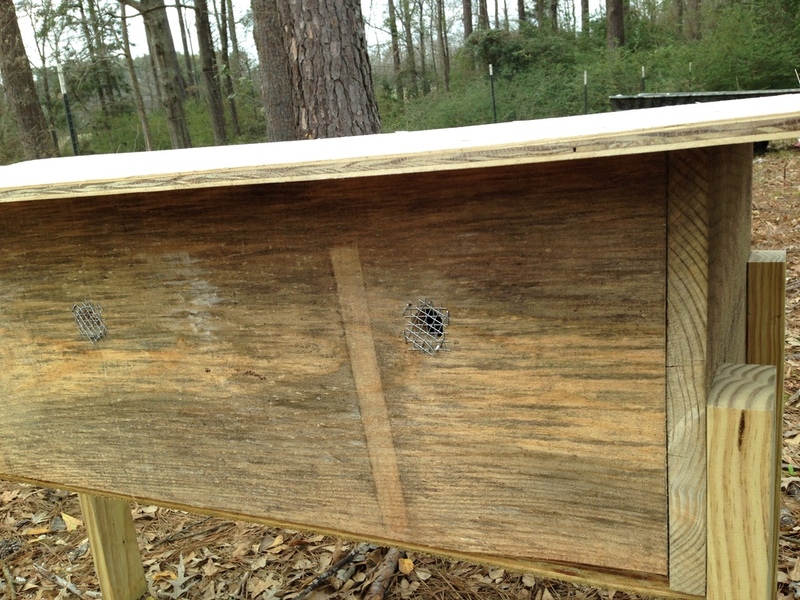 I figure that will coax them up into the box and it helped them find the entrance holes a little easier. I'll go back next week and check on them to see how it's going. I'll be sure to post an update when I have more information.